As men age, the prostate slowly grows and by age 60 more than half of all men have symptoms of an enlarged prostate. By age 80 more than 90 percent of men have signs of BPH, or Benign Prostatic Hyperplasia. 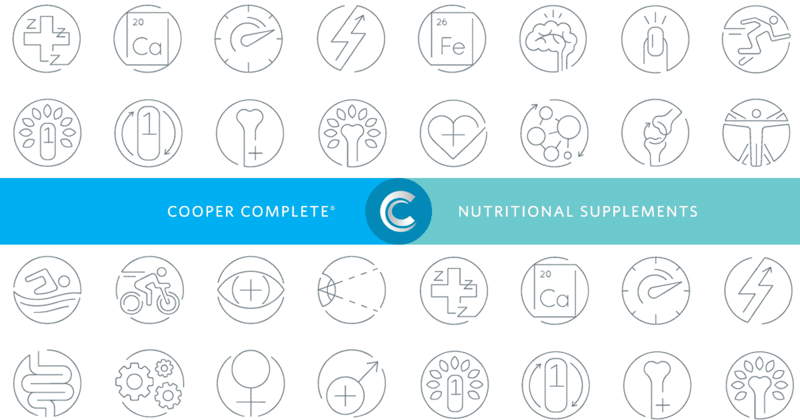 Cooper Complete Prostate Health Supplement contains natural ingredients to help men protect their prostate health. Lycopene is an antioxidant that works to protect prostate health in the body. Several studies find populations with higher dietary lycopene intake have lower rates of prostate cancer. In a prospective study of 29,361 men with a family history of prostate cancer followed for an average of 4.2 years, prostate cancer risk was decreased in those who consumed higher levels of tomato-based foods with higher levels of lycopene consumption than men who did not. Saw palmetto is a plant extract that works to protect prostate health from irritating symptoms of an enlarged prostate. It has long been used in Europe for the management of BPH symptoms. Saw palmetto does not shrink the overall size of the prostate, but it seems to shrink the inner lining that puts pressure on the tubes that carry urine. Men taking blood thinners (such as Coumadin or Warfarin) should not take Cooper Complete Prostate Health as saw palmetto may increase bleeding. Pygeum is another plant extract that can improve urinary function in men who experience mild to moderate symptoms of BPH. It works to reduce urinary hesitancy, frequency and the number of times men wake up at night to urinate. Pygeum does not reduce the size of the prostate gland or reverse the progression of BPH, but instead aids in symptom relief. Decreases nocturia (nighttime urination) by 19 percent. Increases peak urine flow by 23 percent. Reduces residual urine volume by 24 percent. Exercise has numerous benefits for overall health. For example, in an ongoing study at Harvard, men who increased physical activity were less likely to suffer from BPH. 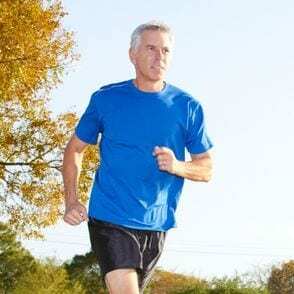 Even activities such as walking regularly at a moderate pace yielded benefits for men. In Italy, researchers conducted a randomized controlled trial on men with symptoms of an enlarged prostate. One group walked briskly three times a week. The second group did non-aerobic exercises of sit-ups, leg lifts and stretching. Overall, both groups reported improvement in symptoms, but the group who walked briskly had lower levels of pain, anxiety and depression. According to Mayo Clinic, consuming a diet low in fatty foods with at least four servings of vegetables a day can be helpful for prostate health. In addition to these rules, it is also recommended to eat foods high in zinc and vitamin C.
The supplements for prostate health we discussed above can help with symptoms of an enlarged prostate or BPH. However, they are not intended to treat or prevent prostate cancer. Prostate cancer is the most common non-skin cancer in America and affects one in six men. Health care professionals recommend screening for prostate cancer after the age of 50.